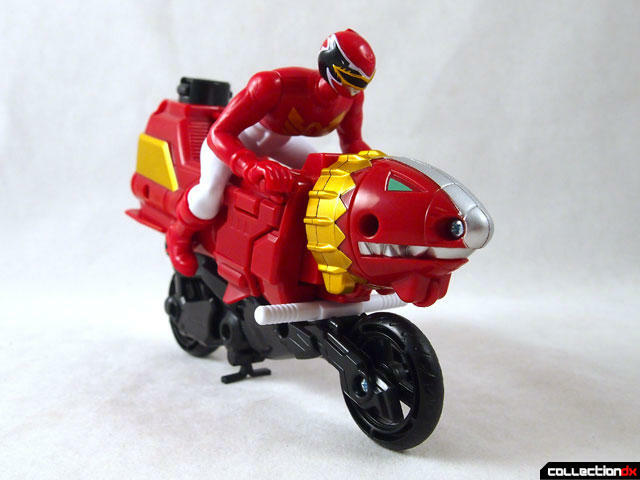 The Sky Lion Red Ranger Cycle is one of three cycles released by Bandai America as part of the Power Rangers Megaforce line. 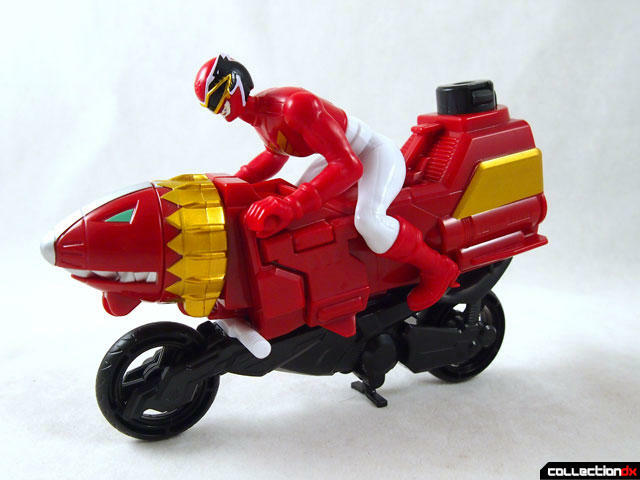 At the core of the cycles are the Knight Brothers, two Hedders that were packaged as part of the Gosei Ground set in Japan. 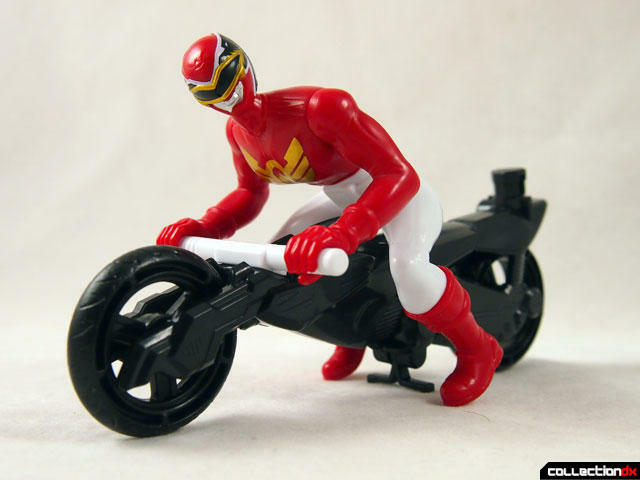 However, due to some reason, in the US the two brothers are packaged separately with cycle attachments and riders. 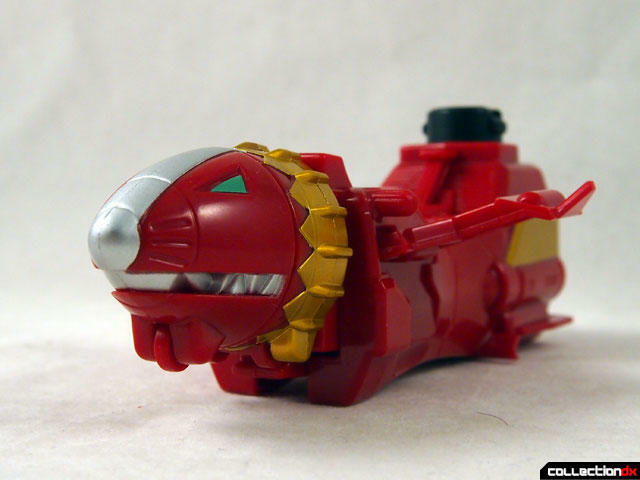 In order to form Gosei Ground, you need to purchase the Lion Mechazord and both Sea Lion and Sky Lion cycles. 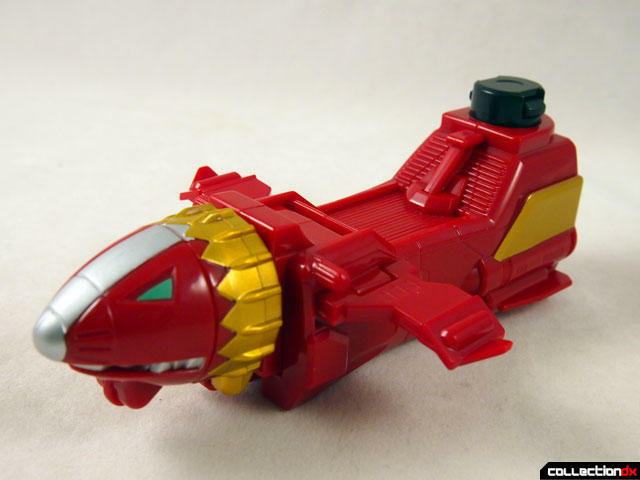 As with all the other megazord parts they are completely remolded from their Japanese counterparts, but they seem to have identical play features. In fact, the US release adds a new play pattern with the addition of the cycles, but most collectors won't care about that much. 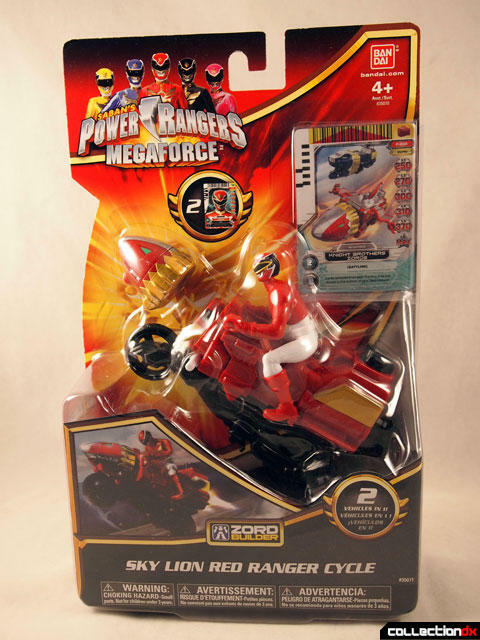 Sky Lion comes packaged on a blister card with the cycle, rider and card. 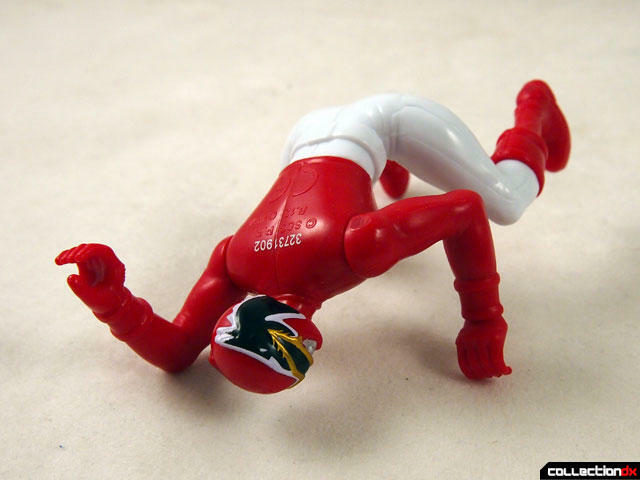 The Red Ranger is molded into a sitting pose with moveable shoulders and head. It's cheap looking, with the serial number printed on the back. The Sea Lion is connected to a bike assembly and it looks as odd as it sounds. 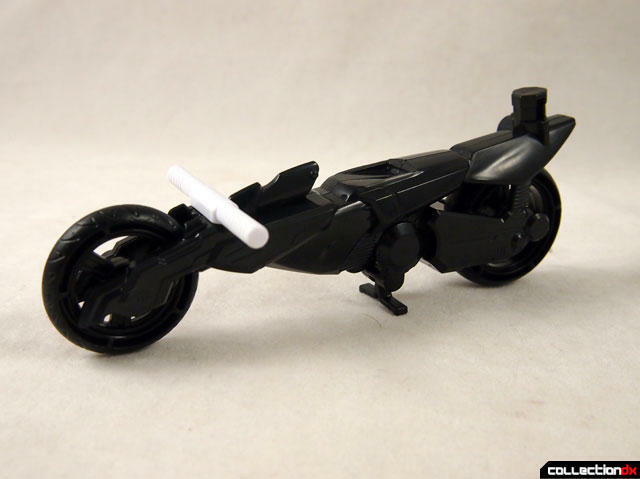 The bike has moveable wheels and a functional kickstand. 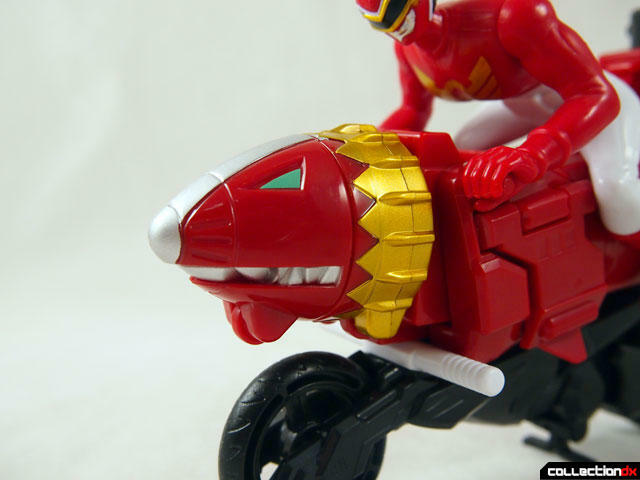 The two connect via the Zord Builder joint at the back. 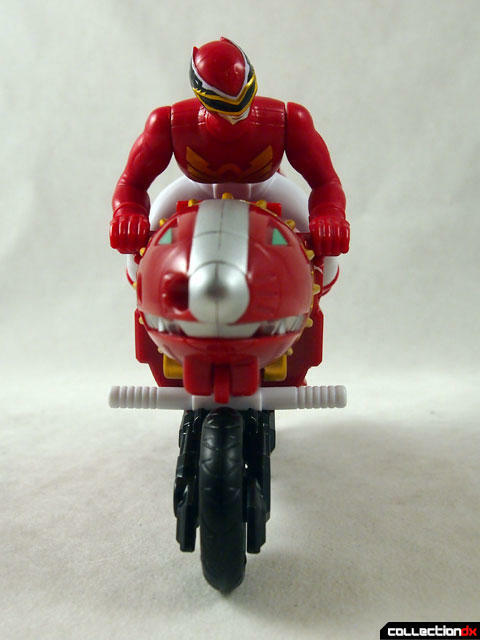 The figure can ride the cycle with the Sea Lion vehicle removed, which looks alright I guess. 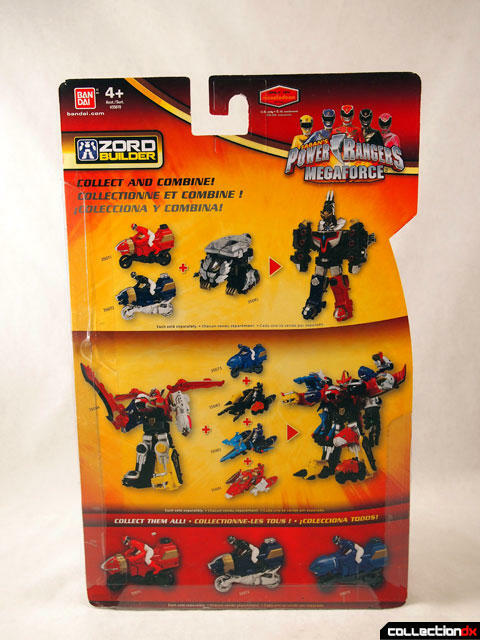 The only real reason to get this set is to get the components to make Gosei Ground. 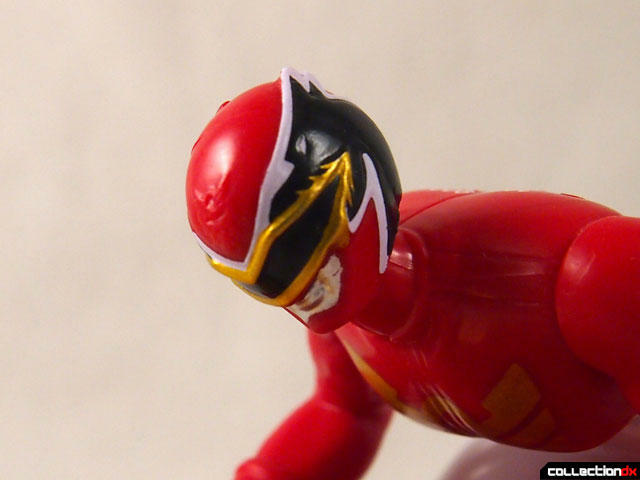 I really dislike the fact that Bandai has made us purchase these separately.